Two Charlotteans were announced today as the winners of the Knight Cities Challenge. The challenge is a competition of ideas in which the Knight Foundation chooses innovative projects that will make the 26 communities that the Knight Foundation sponsors a better place to live and work. The winning projects split $5 million of funding to develop their ideas to make their cities more successful. This year, Charlotteans Erin Gillespie and Varian Shrum represent the city among the winners. 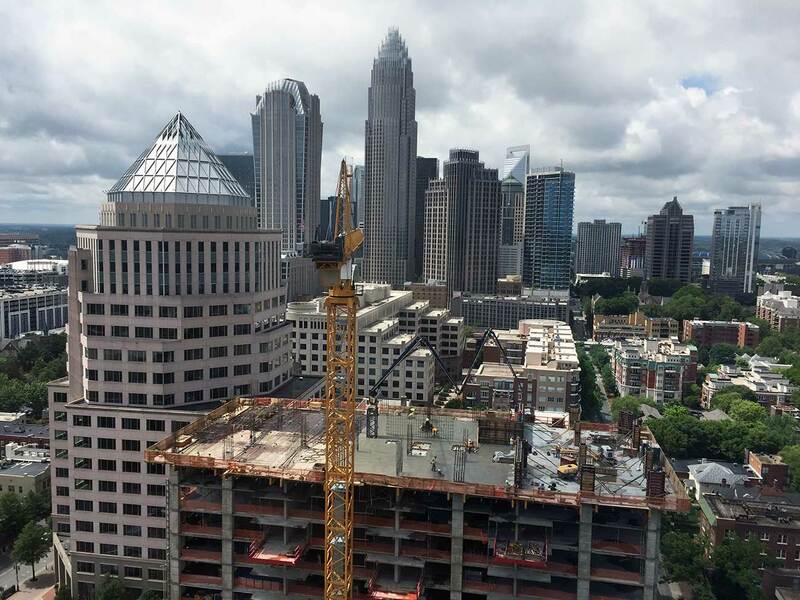 So, what improvements can we expect to see in Charlotte, and when can we expect to see them? Erin Gillespie and Charlotte Center City Partners were awarded $150,200 to develop Rail Trail Grove & Field, which will focus on improving certain pieces of the four-mile Charlotte Rail Trail running along the Blue Line railway. There are several critical missing gaps in the path of the Rail Trail, especially in South End. These gaps are not walkable nor friendly, surrounded by barbed wire fence, scrubby trees and overgrown greenery. Because of this, people end up walking along the rail tracks in these areas, which is very dangerous. That’s why Gillespie and her team want to create a functional, temporary pathway along the two sites indicated in the map below. 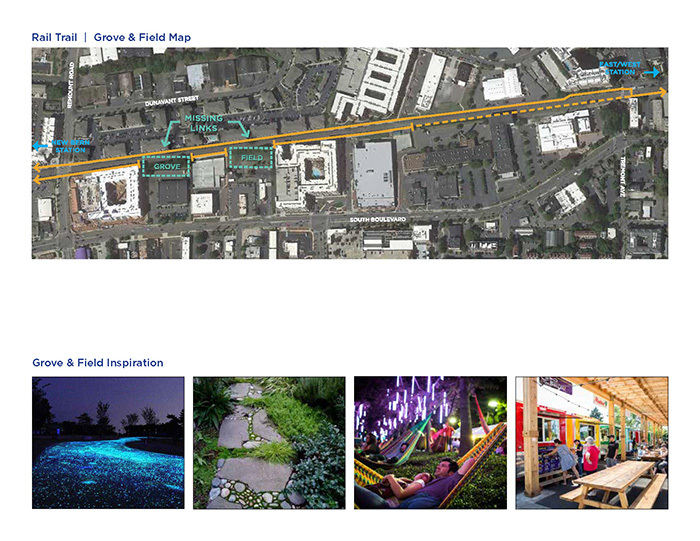 “We want to activate it and make it a cool, unique, vibrant place,” Gillespie said. Since nowhere on the Rail Trail currently has trees, Gillespie said they aim to nimbly move around the greenery when they create the pathway. Expect a trail in the woods rather than a 12-foot concrete path. If plans go accordingly, there will be some space carved out along the trail for seating, a place for food trucks to pull up, programming space, and space for public art, too. The grant has a very short timeline of 18 months, so we can expect to see these new temporary paths open by next spring, while construction will be happening this fall and winter. Gillespie said they hope to plan out fun programming and activities for next spring and summer by asking the community what they would like to see. “Most importantly we’ll ask what the South End neighbors want, but we’re hoping to engage folks from all of those neighborhoods that the Rail Trail connects,” Gillespie said. Varian Shrum was granted $138,875 to help young people create connections with local government officials with her monthly podcast called Your Move, Charlotte. Shrum said she’s noticed that tons of young people are passionate about both local and national issues, but they vent about it on social media instead of using their voice in a more constructive way that could make change. Shrum and partner Garrett Tichy want to bridge this gap between young Charlottoneans and their government officials by making a podcast in which they interview a municipal staff person once a month. Once people listen to the podcast, there will be a follow-up group discussion two weeks later. This will give listeners the opportunity to meet the government official featured in the podcast and ask any follow-up questions they may have had. It also provides the opportunity to meet someone in the city and make a personal connection while getting to meet other young people who are interested in the same issue. Young people will learn actual ways that they can make an impact in their community, which will help them feel more attached to Charlotte, a major goal of the project, Shrum said. 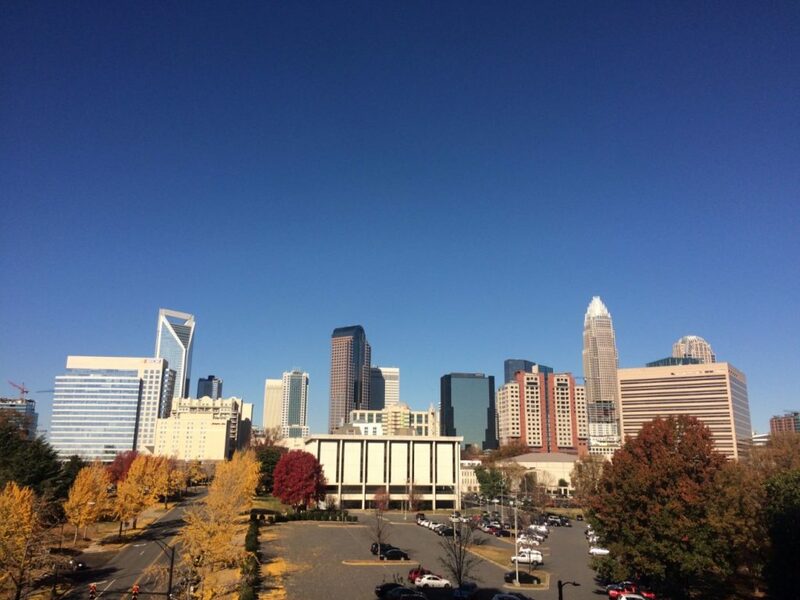 Young professionals migrating to Charlotte, if they don’t know anyone, may feel like they can’t change anything in their community because they don’t have connections, which makes it very easy to leave. Your Move, Charlotte will focus on what’s happening in Charlotte’s civic landscape and what issues will be relevant within the next 18 months, the timeline for the project. Shrum said they’ll likely do their first interview with someone in the planning department or urban design because development is such a hot topic in Charlotte right now. On a final note, Shrum said the podcast aims to “give everyone opportunity to connect and be inspired.” Be on the lookout for the first podcast, which is set to come out in October of this year.